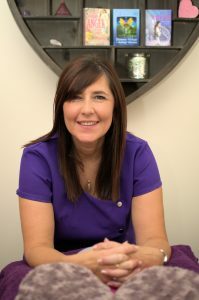 Hello my name is Heather Atkin SNHS and I am a Holistic’s Therapist. Professionally qualified and accredited Reiki Master Teacher, Crystal and Colour therapist along with Life coaching I graduated from the School of Natural Health Sciences in 2008 which is accredited by the International College of Holistic Medicine. Based in Penshaw near Sunderland I found myself becoming more interested in Holistic’s and in 2005 when I started to study Crystal healing it led me to study life coaching and colour therapy. As a mum of three I am aware that life is pressurised with demands on our time and energy and taking time out is important for all of us. After becoming qualified in crystal healing I went on to gain qualifications in life coaching and colour therapy in 2009, and have been successfully practicing since then. Keen to learn new skills I am qualified as a Reiki master and I am training to be fully qualified in Hypnotherapy for which I am currently practicing. I have received some lovely replies from previous clients which I have posted below.